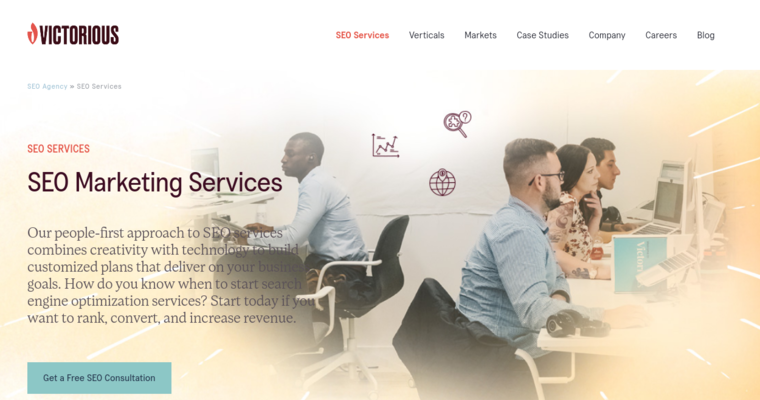 Victorious SEO is a premier search engine optimization agency that prides itself in being one of the best in the North American line of business. 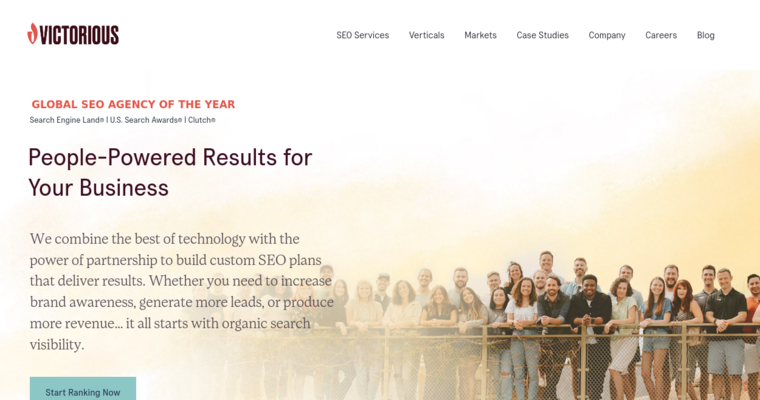 Victorious SEO has a full-fledged team of SEO experts that are highly skilled in creating web pages and making sure they finish at the top of search engine results pages. Referred to as the best real estate SEO firm by a number of former and current clients that Victorious SEO is proud to have served and still serve to this day, Victorious SEO provides both on-page and off-page SEO solutions to make sure that its clients are as well-rounded as they can be. Simply going with one of the two - one-page or off-page SEO - will not work out well for businesses that are hoping to rank high on Google, DuckDuckGo, Bing, Yahoo, or any other popular search engine. Wait no longer and get with Victorious SEO today.